If you've been exploring the many Learning Management System options available, then you probably have already discovered that the vast assortment of features, functions, and support services can make the decision process anything but easy. However, one of the key concerns that weighs on the minds of most eLearning professionals is the cost. Does the LMS fit into your budget, and is it going to offer you the flexibility you need? In this article, I'll highlight 6 Learning Management Systems' pricing models for both cloud and hosted options, so that you can narrow down your list of potential LMS solutions. Cloud-based Learning Management Systems do not require any software downloads. Online learners can access the LMS anytime, anywhere, as long as they have internet access. A pay per learner cloud-based Learning Management System’s pricing model is ideal for smaller businesses or entrepreneurs who are looking for a more affordable option, especially those who have an established audience base and know roughly how many online learners will be accessing the system. In essence, organizations pay for the number of online learners that access the eLearning course each month. For example, if 500 online learners register for the eLearning course the first month and the service charges 50 cents per user, your bill would be $250. The downside to this is that you typically won’t use all of the features included in the LMS, but you still have to pay for them. Also, if your learner base suddenly spikes, this option can become quite costly. Every LMS provider has a different definition of “use”. As such, this pricing model is a bit more flexible than the others, and even confusing in some cases. For example, one LMS provider might define “use” as a module, while another considers it to be an eLearning course. It’s important to verify what they mean by “use” beforehand, so that you don’t end paying more than you anticipated. This option is best for organizations who don’t necessarily need a wide range of LMS features and have a larger audience base. However, it’s difficult to know exactly how much you will be billed when all is said and done, as it greatly depends on the enrollment numbers. 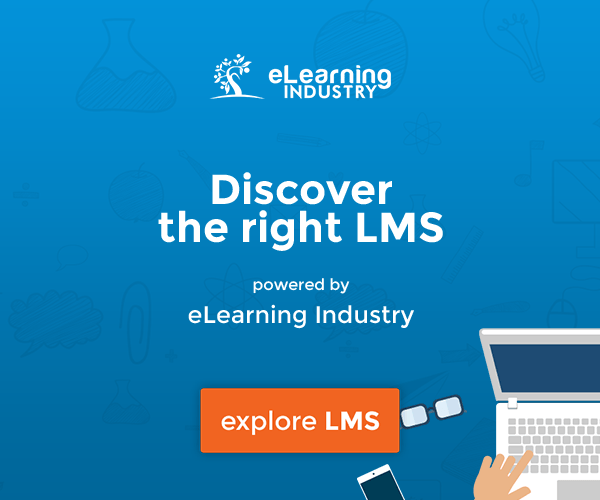 Instead of paying for every online learner who is enrolled, this LMS pricing model only charges you for online learners who are actually active in your eLearning course. For example, if you have 500 online learners enrolled, but only 300 are accessing the eLearning course, you won’t have to pay for those 200 inactive online learners. This is a great option for those who do not have a clear estimate of how many online learners might actively attend the eLearning course, or have attendance rates that frequently fluctuate. Rather than paying per learner or per user, the limited time LMS licensing pricing model involves an annual fee that organizations pay to use the LMS. No matter how many online learners access the eLearning course, or how many eLearning modules you create, you will be charged the same flat fee. This model can also be on a monthly basis, in some instances. When the licensing fee time runs up, you will have to pay to renew it in order to continue accessing the eLearning course. It is ideally suited for organizations that have large audiences and online libraries, or those who are planning on expanding rapidly, as it is a more cost-effective option. When most people think of installed LMS solutions, this is the pricing model that springs to mind. In this case, the organization pays a one-time flat fee that covers every aspect of the product. They download the software, host it locally, and can use it for however long they like. There is no expiration date, and in most cases upgrades are included as part of the deal. This is typically the best option for larger enterprises that prefer to own the software outright, rather than having to worry about paying annual or monthly fees. In some instances, the LMS provider may even host the LMS for an extra fee, if the organization does not want to host it on site. If you are planning on sticking with the LMS for an extended period of time and have a vast learner base, then this may be the way to go. Last, but certainly not least, we have the free options. There are a variety of Learning Management Systems that are absolutely free to use, particularly those that are based on an open-sourced model. You do typically have to a bit more tech savvy in order to use these LMS platforms, but the price is definitely right if you are familiar with the design software. Organizations working with a tight budget and those who are willing and ready to maintain the system on their own, or even hire an LMS specialist to get started, may find that a free model is the best choice. However, you should bear in mind that these options don’t come with support services and the upkeep expenses can become quite costly. Now that you know the ins and outs of LMS pricing models, you may want to compare the LMS features for the solutions in your budget bracket. Which LMS pricing model offers you the accessibility and support you need, and a pricing structure you're comfortable with? Maybe it's time to get an LMS quote tailored to your needs in as little as 3 minutes. This simple 5-step process will help you find the Learning Management System that works best for you. Looking for tips on how to choose the best LMS for your eLearning project? Read the article 11 Tips for Choosing The Best Learning Management System to discover 11 top tips for selecting a learning management system that offers the features, functions, and flexibility your organization requires.